I’m gonna need a stepladder. 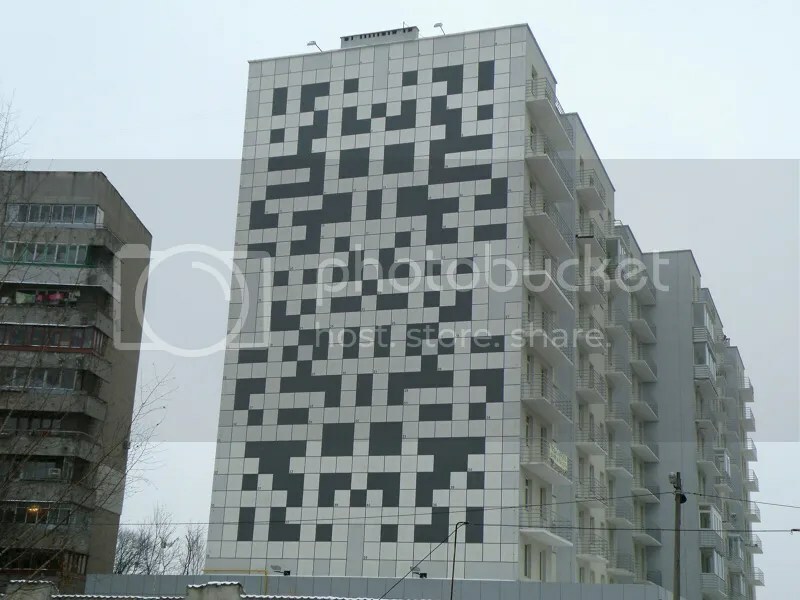 Plenty of places claim they offer large crosswords for the truly devoted solver, but nobody holds a candle to the Ukraine, whose citizens crafted this 100-foot-tall monument to puzzling. Located in the city of Lviv (Lvov, to Russian speakers), the puzzle is an art installation perfectly designed to keep visitors thoroughly challenged. The clues are scattered on landmarks throughout the city, further encouraging both tourism and brain-boosting. The puzzle appears incomplete during the day, but at night, special lighting reveals the answers in fluorescent paint. I can only hope this will inspire other communities to raise the stakes even higher. Crop crosswords that can only be solved with Google Maps! Landscaping sudoku hedges complete with topiary set numbers! Cowboy-style word searches where you actually lasso words on cattle! Okay, maybe not that last one. But hey! At least I’m trying! The artists of Lviv have set the bar — not to mention the grid — pretty darn high. This entry was posted in Puzzles and tagged DIY puzzling, Geeking Out, Lviv, Pop culture, Puzzle to solve, Puzzlin' fool, Ukraine by gmdirect. Bookmark the permalink.